The BMW S1000RR needs no introduction and ever since it’s launch has shifted the superbike worlds attention back to Europe, giving very tough competition to the Japanese four. Its unique mismatched headlights made sure you could spot one anywhere and then its powerful electronics gave it a very distinct edge. BMW is now clearly all set to take the benchmark a notch higher. 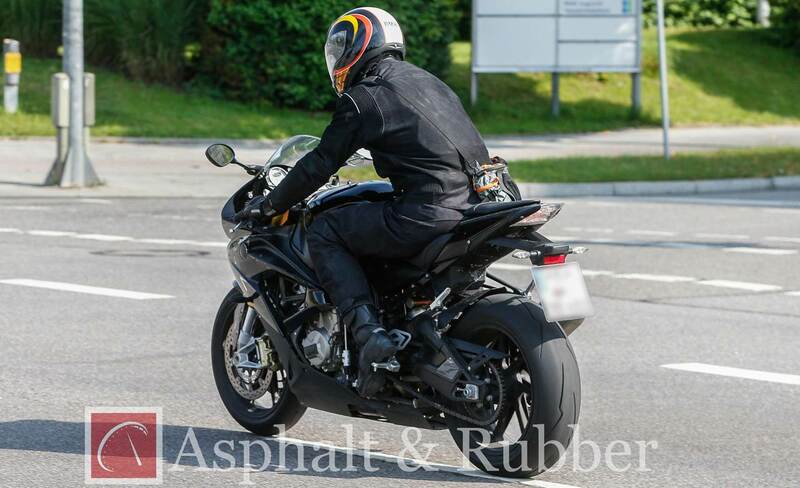 The photograph that you see here is of the 2015 version of the German superbike. Clearly, there seems to be a design change. The side and front panels are more, well, shall we say curvy? Rumor has it that BMW will move to a similar dual headlight system as well. We definitely prefer the sharper mismatched version any day, but that said lets first get a proper look at the new S1000RR before we complain. In all probability it will get the new cornering ABS system from BMW along with an active suspension system. Engine could receive some minor tweaks and revised maps, but that probably will be all the changes engine side. More photographs will definitely pop up before the imminent launch either at the Intermot or EICMA.